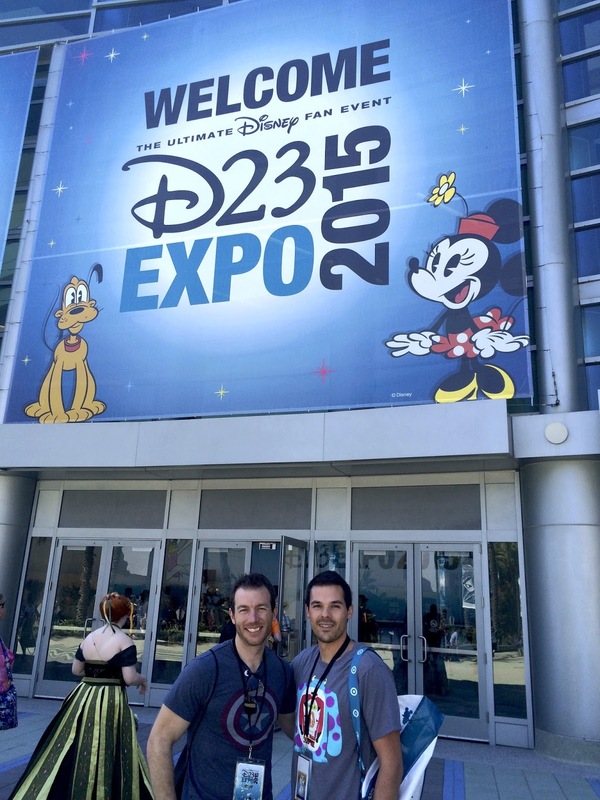 The 4th (and final) part of my D23 Expo 2015 trip! Be sure to check out Part 1, Part 2 and Part 3 if you missed those. Ok, all caught up? Then lets get to it! 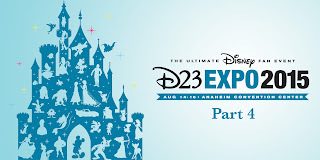 All good things must come to an end...sadly the last day of the phenomenal D23 Expo was upon us! This was a shorter, much more chill day, but there were still some great moments. 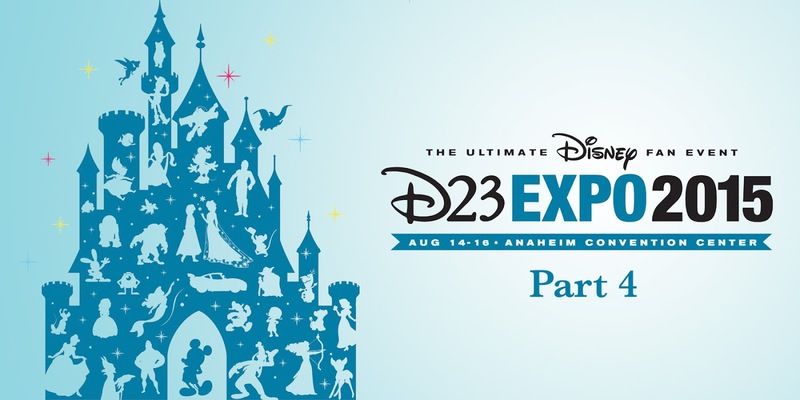 First of all, and I still don't know exactly how this happened, but we were able to get into the expo as "press" before anyone else! The group I was with had something arranged and I was able to walk right in with them like we owned the place. It was pretty sweet! We were able to walk the entire show floor with close to no one else there. We even got to do/see some things that we probably wouldn't have been able to do later in the day because of the long lines. 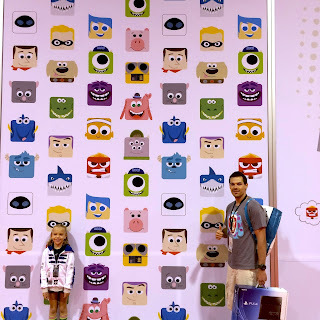 Me and Lyla in front of the Disney/Pixar consumer products booth! 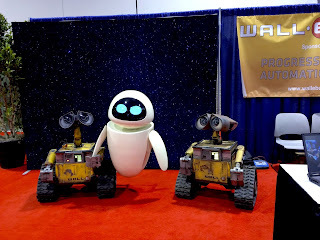 For example, we got to check out the Wall·E and Eve full scale replicas up close! 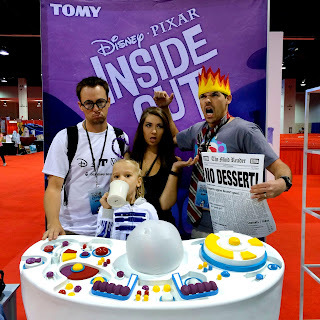 I had seen videos of these online (they're pretty famous at this point and have made countless public appearances), but it was [of course] even cooler to see them in action in person. These working, radio controlled robots (with movements, lights and sounds) were made by fan Mike Senna, under the banner "Wall·E Builders Club." 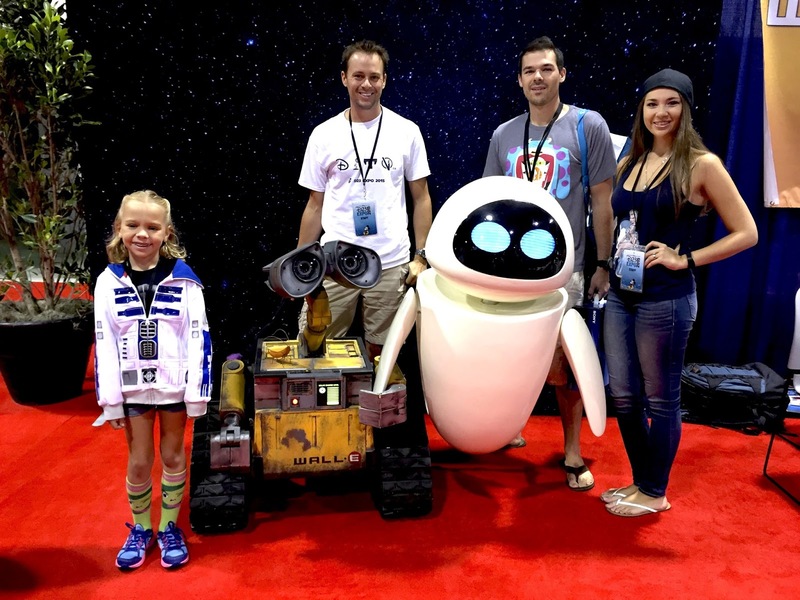 It was a blast having Steve C.'s wife Sarah join in on the fun...she was able to make it for Saturday and Sunday! Our group felt incomplete when she wasn't around, so we were all happy when she was able to make it for that second and third day. 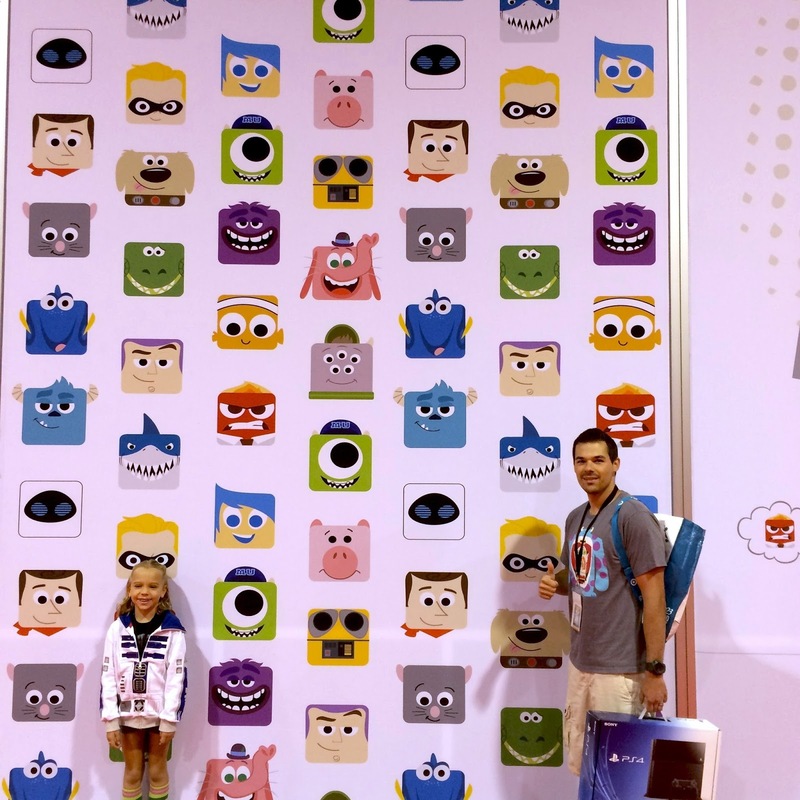 Another thing we were able to do (without any crowed) was stop by the TOMY toys booth! 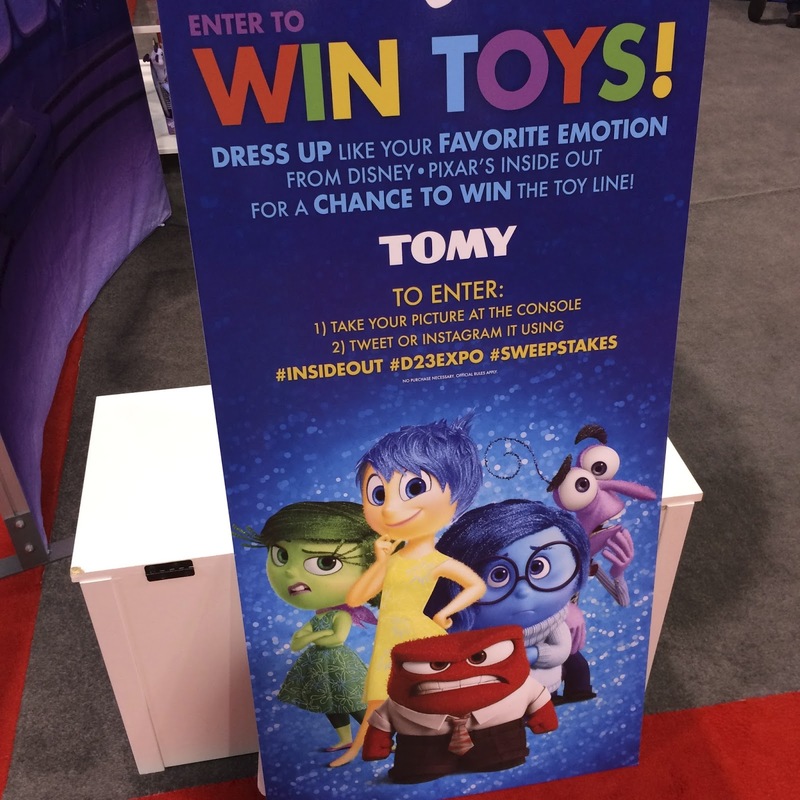 TOMY was the company behind many of the Inside Out and The Good Dinosaur toys this year. Though they've all been released since then, it was very cool at the time being able to see an exclusive sneak peek at the Good Dino action figure collection a month or so before the public. No photos were even allowed! 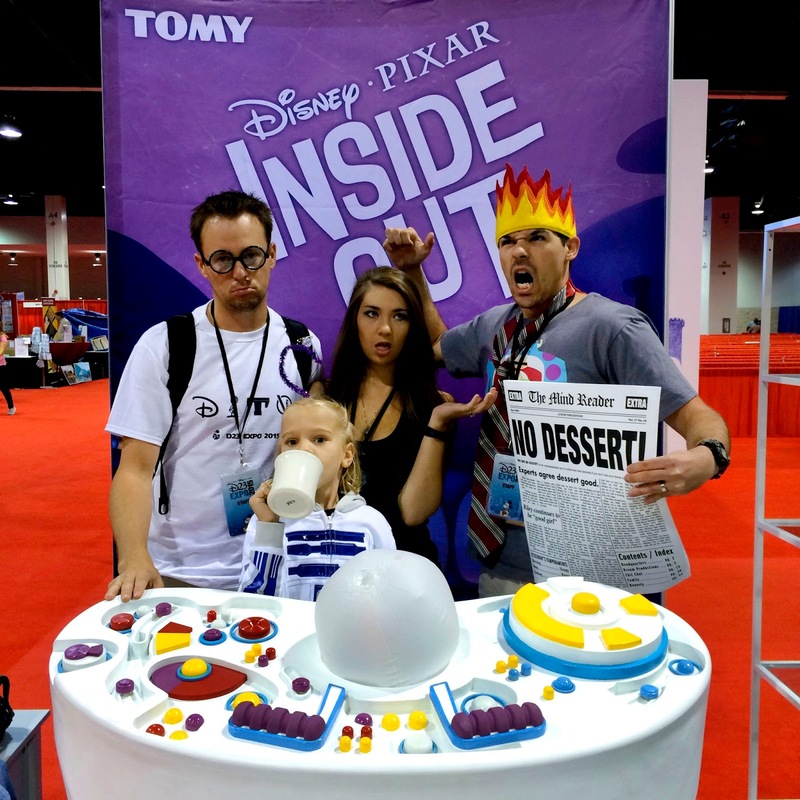 My favorite part of the TOMY booth was the full size Inside Out console set they had there to take pictures with...as well as a bunch of props for dressing up as all the emotions from the film (such as Fear's coffee mug, Sadness's glasses and Anger's "No Dessert" newspaper)! Also, you could enter a contest (to win the TOMY Inside Out toy line) by posting your picture on Twitter or Instagram with the appropriate hashtags. 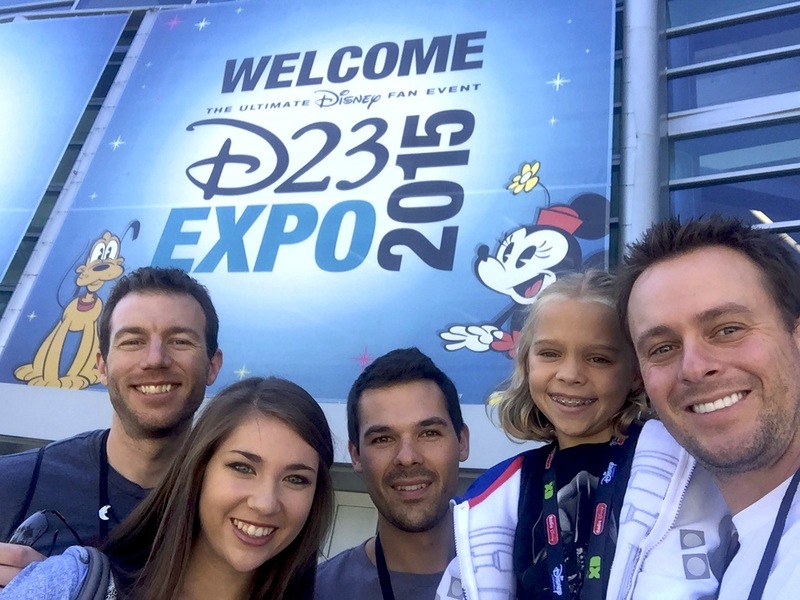 Check us out- not a bad looking group! 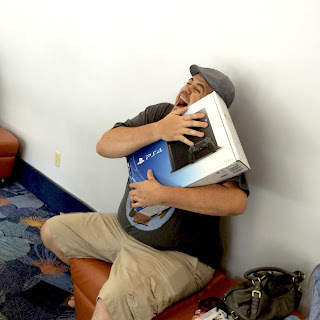 Here we have a very ecstatic Logan L. who bought the Playstation 4 from me that I won on Thursday (during the Disney Infinity Toy Box Summit event). Since I'm not a gamer, I had no use for it. I was happy to help a brotha out! 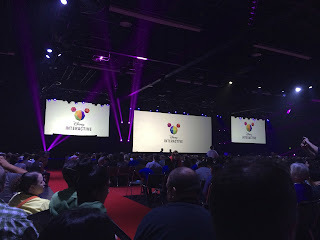 The next event we headed off to was the Disney Interactive panel. 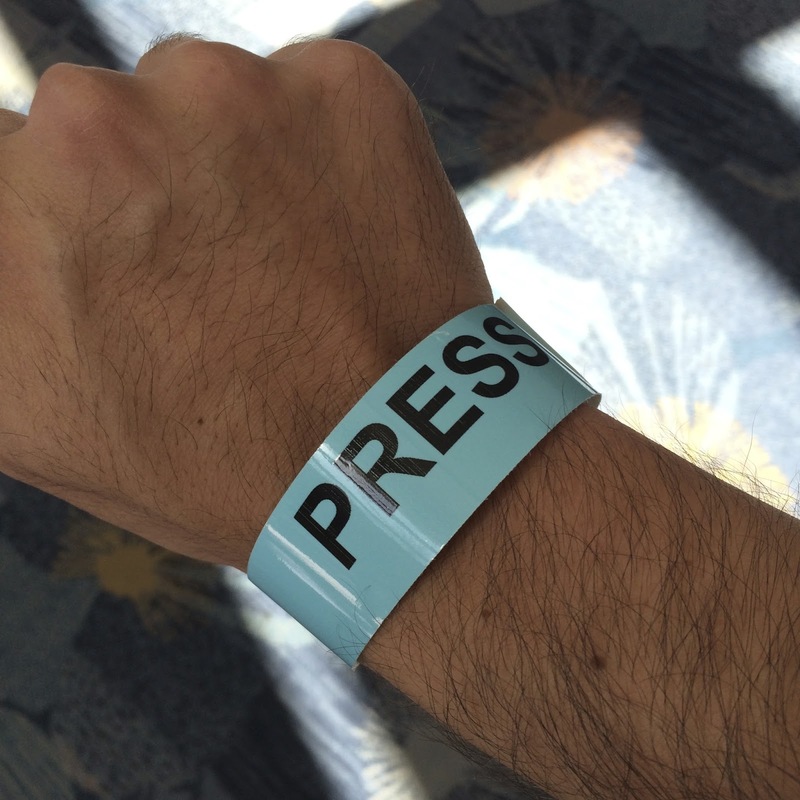 And since some of the guys I was with were "press", they were able to snag me a press badge as well! I felt pretty official. 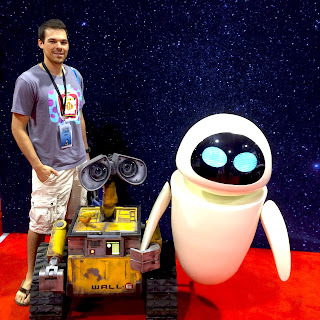 A big thanks to Will (of Disney Infinity TV) for helpin' out there! 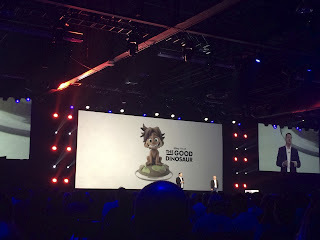 The presentation touched on some new/upcoming Disney video games, such as Disney Infinity 3.0 Edition, Star Wars Battlefront (from Electronic Arts) and Kingdom Hearts III (from Square Enix)- as well as Disney's new interactive "Playmation" game and the Star Wars Battlepod. 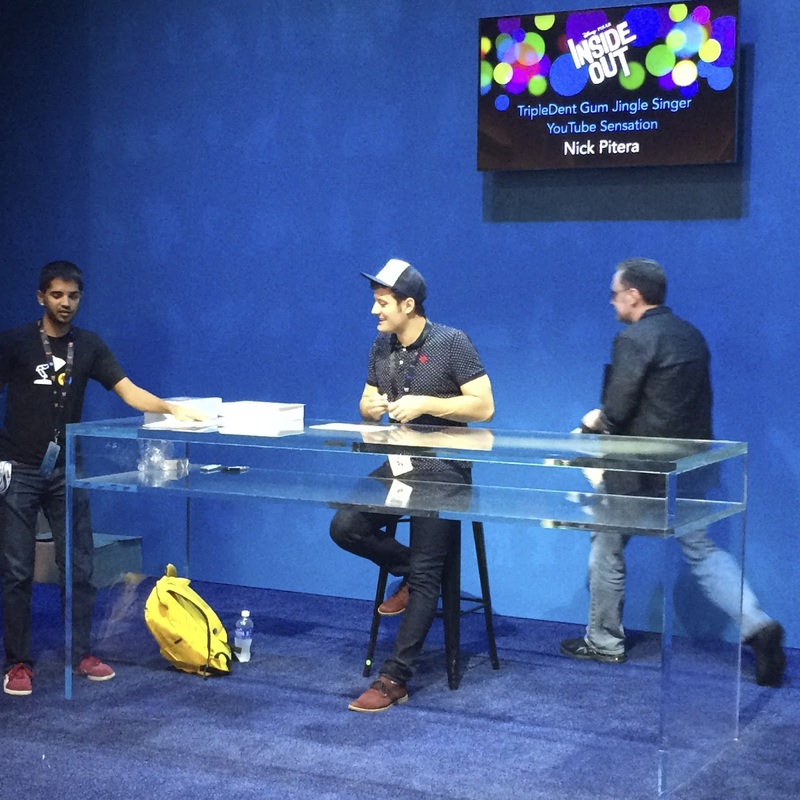 It was so much fun watching the guys "Periscope" this presentation to their loyal fans who couldn't be there! 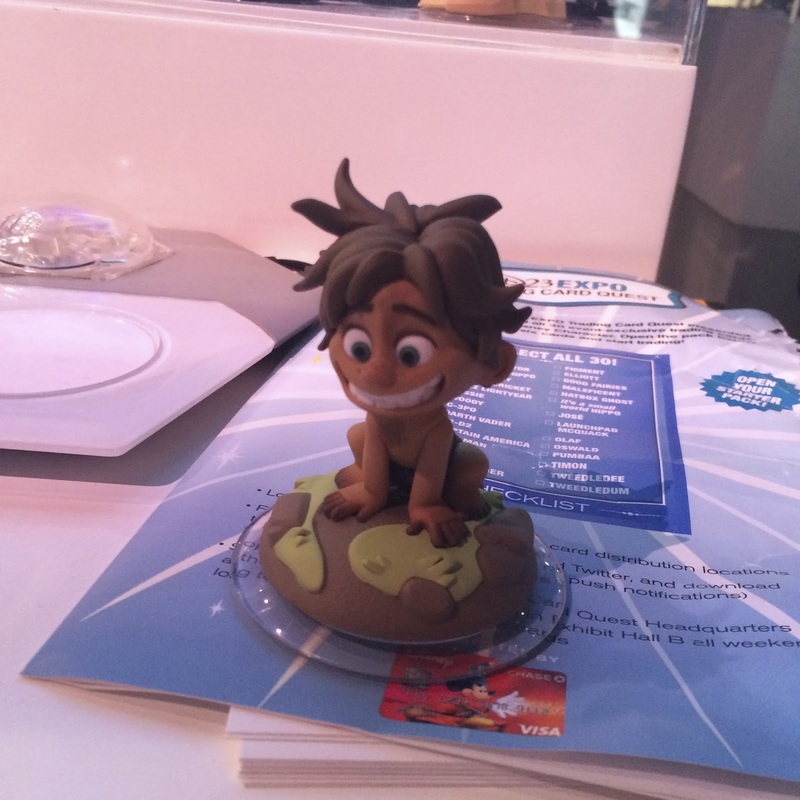 Though this now available, the presentation also had the first official look at one of this year's brand new Infinity 3.0 figures...Spot from The Good Dinosaur! Even though I don't play the game, I might just have to pick this one up for display. Really fantastic design. 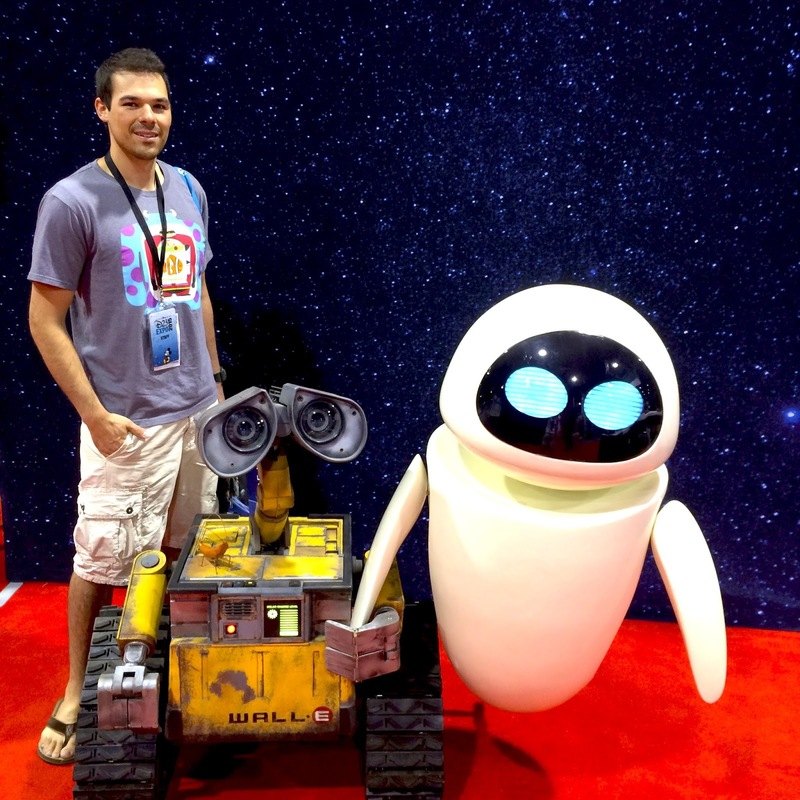 Before we took off, I did one more sweep around the Expo for good measure. I didn't want it to be over! While I was visiting the Pizza Planet truck for the last time, I hear "are you by chance Dan The Pixar Fan?" I turned around. 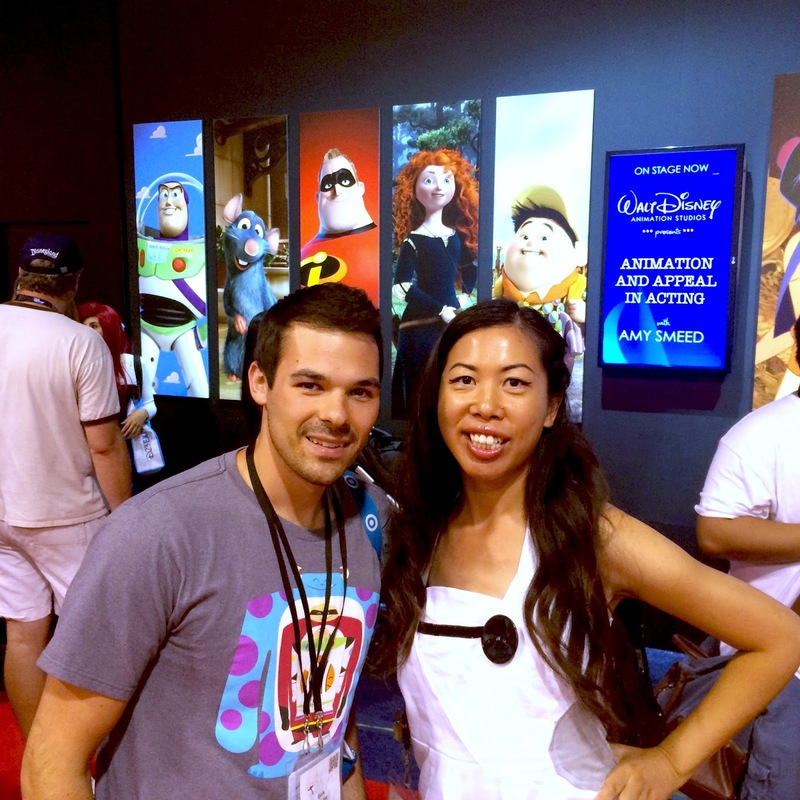 A blog/Instagram follower of mine (and fellow Disney fan), Claudia, just happened to be standing near by and had recognized me! A big shout out to her- it was such a pleasure meeting you! I guess it really is a "small world after all"- what are the chances?? It was also super great meeting another Disney fan that I had made "friends" with in the world of social media over the past while...Jenny Y.! 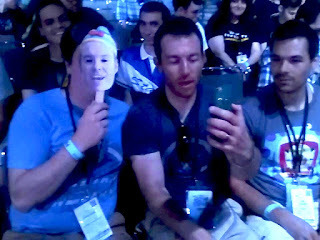 It was such a pleasure meeting you in person as well. Such a fun little meet-up. 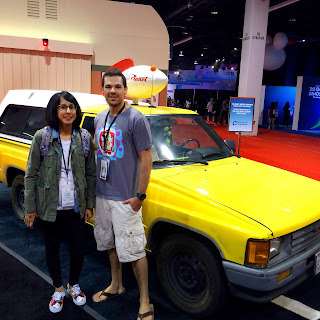 A big shout-out to Jenny for being one of my longest and most dedicated blog followers! 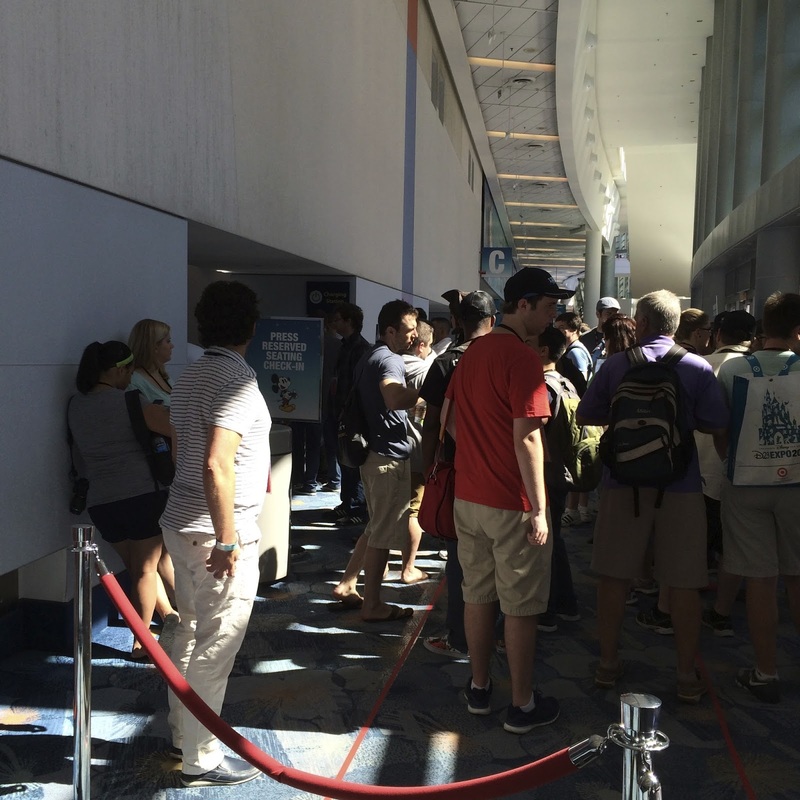 Jenny and I were both standing in line trying to get Nick Pitera's autograph. Not only is Nick a YouTube singing sensation, but he also sang the ever so catchy "Triple Dent Gum" commercial in Inside Out! 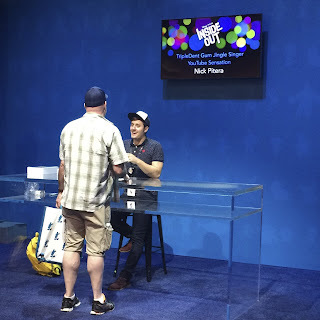 He was signing D23 Expo exclusive prints (featuring a movie still of the Triple Dent Gum memory orb), but unfortunately I missed him by just a couple minutes. By the time I was getting close to the front of the line (there were only a few people in front of me), it was time for him to jet. Oh man! I was still able to snag a few pics of him signing though. That'll have to do! At that point it was just about time to get going. You know that feeling you get when leaving a Disney parks/cruise vacation? Walking out those doors I felt that same thing. 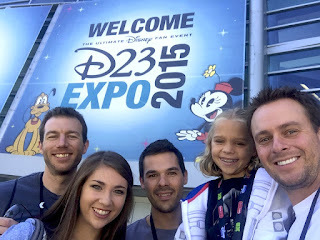 The magic quickly began to fade as I realized it was back to the real world! It was such a remarkable time though. Even though it came and went so quickly, I have so many magical memories to now look back on. I saw some great things, purchased some fun mementos and met some fantastic new friends. I'm so grateful for the opportunity I had to go! A very special thanks to everyone who made it all possible. Thanks so much for sticking with me the last few days as I documented this trip. I hope you had fun hearing about all my experiences there at the Expo!